Chinese carmaker Geely is currently building a new 120,000 square metre innovation centre in Gothenburg, with space for more than 3,500 people. Meanwhile, a new health innovation cluster with space for 350 companies and 7,000 people is also being developed and is due to break ground later this year. These are two examples of the major investments being made in the Gothenburg region. In recent years, Gothenburg-based companies have invested heavily in developing new products and services. Behind these large sums are global brands like Ericsson, AB Volvo, AstraZeneca, Saab, and Volvo Cars, as well as multiple other companies of various sizes. A quarter of the country’s private R&D investments are made in the Gothenburg region. This has made the region a world leader within areas of automotive, life science, logistics, ICT and urban development. Construction plans worth a total of 100 billion euros are attracting investors at a scope never previously seen in Gothenburg. The city is expanding in ideal central locations and offers unique testing possibilities for innovative products and services. The rapid pace of digitalisation opens up opportunities for companies and people with the ability to think creatively. The Gothenburg-based company Football Addicts, whose app brings together millions of football fans from all over the world, is one of many examples. In Gothenburg, large construction projects are located right in the middle of the city, and the ethos is that this represents a fantastic opportunity to test something new. A domestic market with this attitude is of immense value for companies putting significant investments into R&D. The full chain is in place in Gothenburg – from the analysis of people’s needs and society’s challenges to in-demand products and international trade. What begins as concept development continues with the design of products and services, testing in simulated and real environments and large-scale production. In addition, the city boasts global marketing and established trade routes direct to the large export markets. But the city is also facing some substantial challenges. Within the business environment, certain competence is scarce – not least in the construction sector. The consequences of segregation and a housing shortage are serious. These are putting Gothenburg’s capacity for cooperation to the test. The business sector, the city/region, and the universities need to work together to take on these challenges. The approach to collaboration has made Lindholmen one of Sweden’s most knowledge-rich areas. Another example is AstraZeneca, which has opened up its research facilities to small, promising companies working in its networks. These collaboration models are new even from an international perspective. 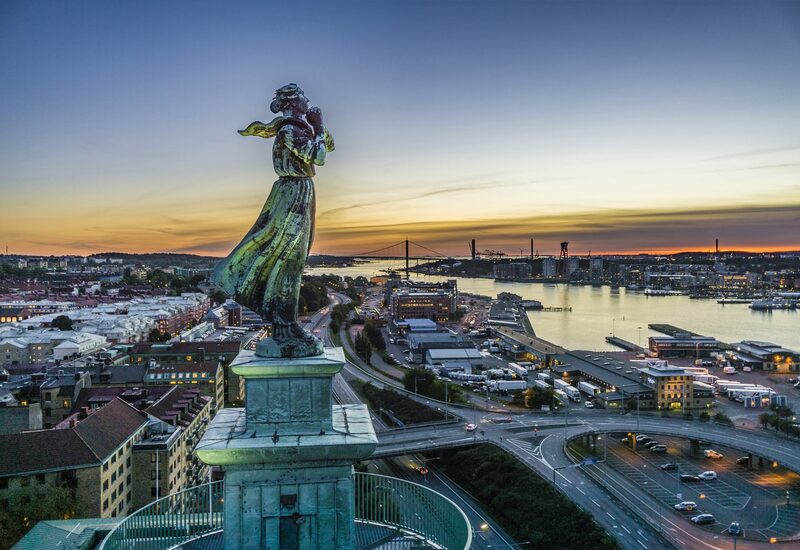 They contribute both to finding answers to major societal issues and to making Gothenburg an interesting option for investments and establishing business operations. BUSINESS REGION GÖTEBORG is responsible for business development in the City of Gothenburg and represents thirteen municipalities in the region. We do this by providing knowledge and contacts essential to successful entrepreneurship.